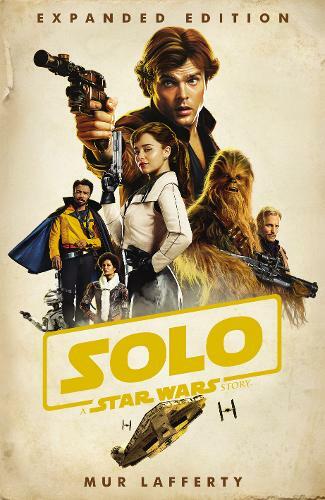 This thrilling adaptation of Solo: A Star Wars Story expands on the film to include scenes from alternate versions of the script and other additional content, giving deeper insights into Han Solo's years in the Imperial Navy, Qi'ra's past, and the beginnings of the rebellion. Though Han Solo has thrilled Star Wars fans for decades, the notorious wisecracking scoundrel was chasing adventure and dodging trouble long before he walked into the cantina at Mos Eisley spaceport. Young Han dreams of someday soaring into space at the helm of his own starship and leaving his home, the gritty industrial planet Corellia, far behind. But as long as he's trapped in a life of poverty and crime-and under the thumb of the sinister Lady Proxima and her brutal street gang-reaching the distant stars seems impossible. When Han tries to escape with his girlfriend and partner-in-crime, Qi'ra, he makes it out-but she doesn't. Desperate for a way to find his own offworld vessel and free her, Han enlists in the Imperial Navy-the last place for a rebellious loner who doesn't play well with others. When the Empire clips his wings, Han goes rogue and plunges into the shady world of smugglers, gamblers, and con artists. There he meets the charming and cunning high roller Lando Calrissian, makes an unlikely friend in a cantankerous Wookiee called Chewbacca, and first lays eyes on the Millennium Falcon. To snag his piece of the outlaw pie, Han joins a crew of pirates to pull off a risky heist. The stakes are high, the danger is great, and the odds are slim. But never tell Han Solo the odds.